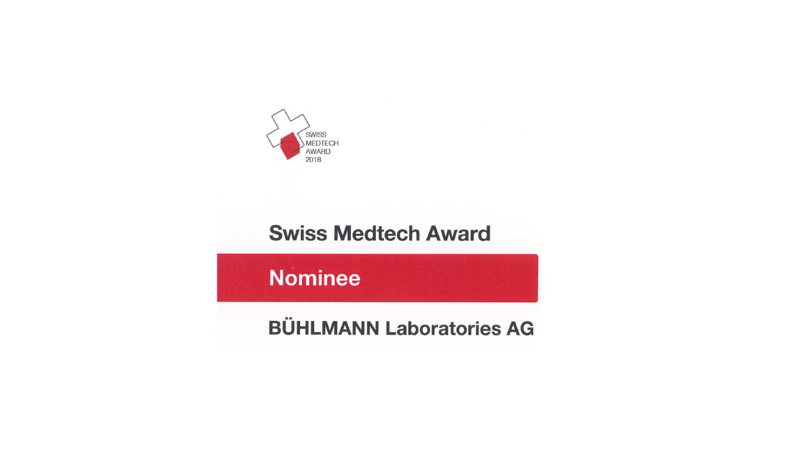 At this year’s SwissMedtech Day, BÜHLMANN was nominated to receive the Swiss Medtech Award. Switzerland is listed by key rankings as the “globally most innovative country”. Medtech one of the industries heavily contributing to this ranking. Out of 25 applications BÜHLMANN Laboratories AG was chosen to present IBDoc® to a Jury of medtech and academic reperesentatives. The jury nominated 3 projects for the Swiss Medtech Award 2018, BÜHLMANN Laboratories AG among them. June 12th IBDoc® was presented to 600 attendees from the entire Swiss Medtech sector. Follow this link to read more about the final nominees and click here to read the IBDoc® publication.